Editor's Note: There is 1 image associated with this release. Falcon Crest Lodge, an award-winning mountain getaway nestled between Canmore and Banff National Park, continues to push the standard for industry excellence to new heights as it caters to travelers visiting Alberta's world famous Rocky Mountains and the surrounding areas. The CLIQUE Hotels & Resorts property was pleased to announce its most recently achieved accolade after being the only Alberta hotel named as a Top Hotel in Canada by the 2016 TripAdvisor Travelers' Choice™ awards for the fourth consecutive year. The highest honour given by TripAdvisor, the award places Falcon Crest Lodge in the top one per cent of hospitality properties on the world's largest travel site, a testament to the resort's continued success. "We at Falcon Crest Lodge are honoured to once again be distinguished by this and other notable awards," said Cory Haggar, General Manager, Falcon Crest Lodge. "The recognition that we continue to receive from the travel community must be attributed to our hard working and dedicated team of hospitality professionals. It is our distinct pleasure to continue to provide exceptional service for our loyal guests, whose feedback about their time with us has resulted in Falcon Crest Lodge being viewed as a top Canadian hotel." Demonstrating remarkable service, quality and value continues to stand as a top priority for Falcon Crest Lodge, as the decorated "home away from home" for travelers works tirelessly to offer a top tier hospitality experience to guests from around the globe. The recognition of Falcon Crest Lodge's passion for excellence sets it a head above the competition as Canmore's premier resort holds its own next to a number of Canada's larger brand hotels. Falcon Crest Lodge continues to partner with Travel Alberta in promoting the Canmore/Bow Valley region, ensuring that those visiting the area are treated to an unforgettable experience and are well versed on what this beautiful destination has to offer. Later this year, guests will see Falcon Crest Lodge transform into a modernized resort with the rejuvenation of hotel design and décor. Upgrades to guest rooms and existing amenities, which currently include two outdoor hot tubs, meeting rooms with adjoining patio/BBQ spaces, guide books of the local area and much more, will also be included in the hotel's upcoming renovations. 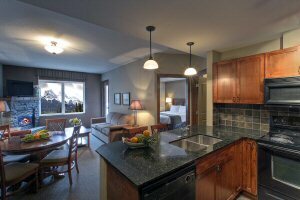 Falcon Crest Lodge, situated in Canmore, Alberta, provides luxury lodging in the Canadian Rocky Mountains. 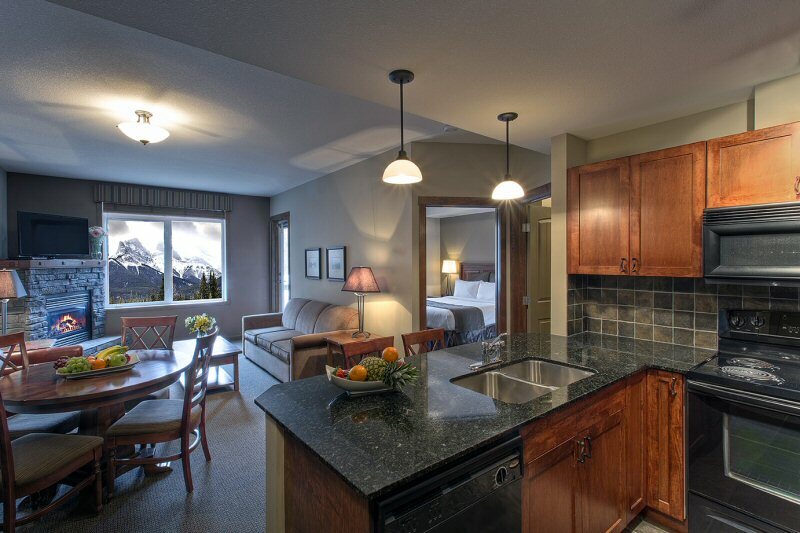 Just a short walk from the town of Canmore and closely located to Banff National Park, Falcon Crest Lodge offers premier accommodations for any mountain traveller. Our condominium inspired rooms and suites provide guests with contemporary amenities including private patios and balconies; gas barbeques and fireplaces; fully stocked kitchen and kitchenettes; HD televisions; Blue Ray players; fluffy duvet comforters and so much more. Named as one of TripAdvisor Travelers' Choice™ Top Canadian Hotels for four consecutive years, Falcon Crest Lodge is where Alberta and the world come to play! For more information please visit www.falconcrestlodge.ca.